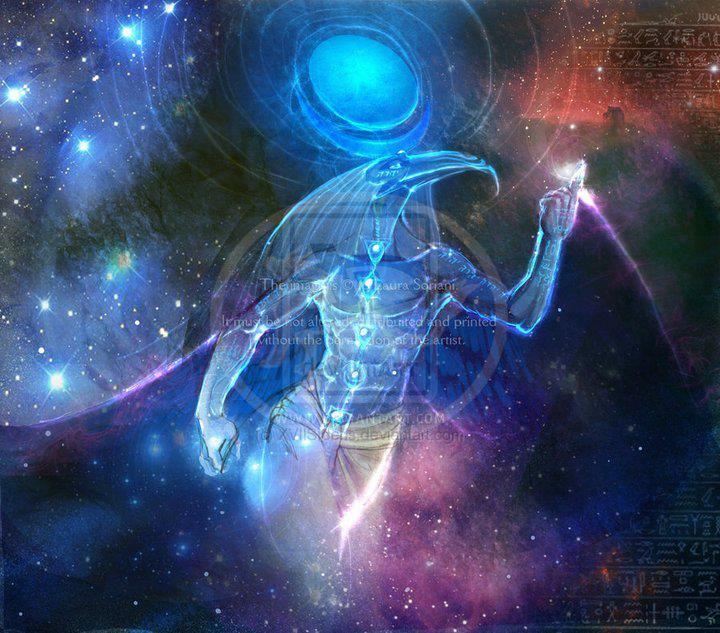 Astral travel – the traveling of the soul without the body. This is something that we are all capable of doing and something you might not know, is that you do it almost every night already. When we go to sleep, our soul gets to work. Very often does it leave the body, traveling through the universe to other planets, other dimensions or sometimes stays on Earth but goes to key locations. This can either be for healing, upgrading of your energy body or for your higher self to attend certain gathering on a Galactic level. What you must understand is that there is an entire other reality running concurrent to the one you are in now. We are not bound by this Earth experience. For many of us, we have large Galactic roles which does not stop when we incarnate. Instead those extensions of our soul are busy with their given task. At times however, the energy needs to be raised and we must connect with these aspects of ourselves. Generally at night or at times, you will find that you just need to take a nap. Waking up, you can feel that it was an incredibly deep and intense sleep even though it was only for a short period of time. Those especially are times when you traveled out. The feeling that you sometimes have, just upon falling asleep and then suddenly waking up – generally with a falling sensation. That was your soul staring to leave your body but your body, realizing something was not right – started to wake up, jerking your soul back into it. For me personally, the bed shakes when that happens and I am left with the dream fragment of generally walking somewhere, slipping and falling down. There is nothing wrong about this experience, just that our bodies are not used to it. Even myself, travelling out about every single night I still have that jerking experience from time. Now this is where the fun part comes in – you can start instructing your body and your soul as to where you would like to travel. Feel intuitively – do you want to connect with your home planet, do you wish to travel to the Central Sun to reconnect with the central spark of God? Do you wish to travel to sacred sights, light cities or energy centers scattered around planet Earth? Just be sure to state that you would like to remember something from that journey. Be it a feeling, actual imagines or the whole journey. Sometimes I remember the entire journey, from start to finish. Other times I only wake with a strong feeling – be it dragons, galactic or even just a feeling of ease and love. Once I was told to go to sleep, it was 10h00 in the morning but the instruction was very strong and clear. I obeyed and fell asleep rather quickly. Upon waking, I knew that I was in front of my higher council of light. I had no actual memories but I had the incredibly strong feeling of standing in front of them, discussing an aspect of my life. The most important thing is for you to have fun with it. Learn that you can control some aspects of your higher self rather easily without much effort. Explore the endless infinity – do not feel constrained and bound to the simple body we are in now. Once you start having these experiences on a more regular basis, you will find that new experiences will be drawn to you – you are more open and thus you can start to feel and see more. See you all on the astral realm soon! Are you willing to believe? For some that is an incredibly easy question to answer, with no hesitation the answer simply escapes their lips, without a second thought. To believe in something that you do not know or understand. To put your faith in something which is neither tangible or comprehension-able. Stepping out of the mind that wishes to know all and embrace your heart’s feeling of just accepting and being. To let your heart believe without a waiver, a condition or doubt. For many of us, we reach a stage when we realize the life we are living does not suit us anymore. That we have become trapped in a system of moulds, expectations and structures – heaped upon us by other people. We are living other people’s truth, going blindly where we are told to go. When we awaken, we start to question this and realize that we are not on our own path. We must break away from this in order to carve our own destiny and live our own truth. So we step away from that which we know and enter the unknown. We can no longer continue on the path we were on before, that we know but where to then do we go? The spiritual world just feels right and often what you have heard resonates. It brings freedom, truth, honor and love with it – how can we deny such emotions? Those are the emotion we, as human beings, all covet and strive for. Yet, this world is so alien to us (pardon the pun). There is so much new information, things that stretch the absolute limits of the mind. How can let go of years of conditioning and just accept? To step out of your mind and open your heart – to embrace this new world that lies ahead of you. Letting go of everything you have ever been told and made to believe. So you can find your own path, your own truth and start dancing to the beat of your own drum. The beauty of that question is that there is no answer. There is no verbal conformation that you are willing or ready. No, it is a feeling – something that permeates your heart. It is infused with the very fiber of your being. Believing has strength tenfold to that of knowing or understanding. For us to believe or understand, information and knowledge has to be absorbed into the mind, sifted and assimilated, before we can fully grasp it. As opposed to belief which is imprinted in the body and the soul without much effort. This kind of true belief has no articulation, it is a feeling beyond the scope of words. It must be felt and from that feeling can you begin to understand and know. 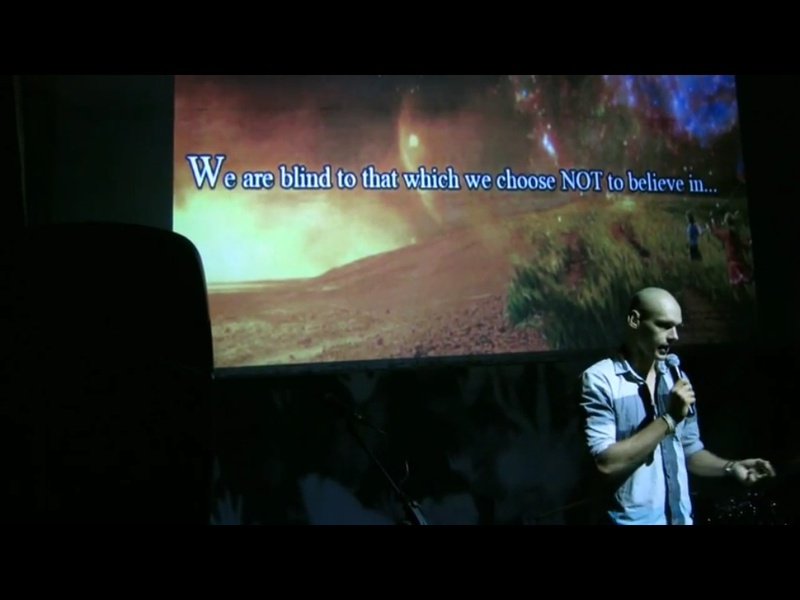 That is why “Are you willing to believe?” has no answer. For it is a feeling, a feeling that stems from deep within your soul, your body and your being. It pulses out and vibrates into your entire existence on this plane. You live that question, you become that question. It is what you ask every day to yourself, when you accept the universal flow of love, of Divinity and perfection. Stepping out of everything that you have ever known, you embrace a new world – a new life. To find your own truth, that which expands from your heart and allows you to shine like the pure beacon of God consciousness that you are. Are you willing to believe and to surrender to the flow of pure perfection? Are you willing to believe and let go of all that no longer serves you, everything that weighs you down – causing fear, doubts and pain? Are you willing to believe in this new world, this new world that you are an architect in, this new world that is your home? You are beautiful, beyond the measure of words or acts. Never has there been a moment more perfect than this one. You are powerful, you are Divine, you are Source. Slowly, with each step you take towards the unknown, do you become lighter, more in sync with your true destiny and being. You believe, you need not say so. Live your belief, let is cascade out of you in every moment, with every action and breath. I need not tell you that I am willing to believe, as by now you should already know. and currently I’m busy writing about the basic composition of the universe – where Earth is, other systems, the Galactic treaties, Ashtar Command, Brotherhood of Light ect. I am really prompted to write this after seeing a man today that is the complete embodiment of an elf. We all carry different types of energy. This is based on our past lives, what your mission is for this lifetime and what energy you are anchoring to Earth right now. Myself, I am half Galactic, half Elemental. This is due to my high volume of lives spent as both. This enables me to access the higher Realms of Knowledge and Learning via my Galactic self, but also stay very grounded to Mother Gaia, to feel Her and understand Her. You, carry different energies unique to you – energies that are needed for your mission and for Earth at this time. Galactic, Elemental and Angelic but lately I have been discovering more. Recently I had a client that embodied complete Goddess energy. She has spent most of her lives as a deity and thus that is her main energy. She now has to learn how to embody that energy on a physical plane while still being aware of how powerful she is – and how she can help the planet with her gifts. Also, I have a good friend that is complete crystalline being. You could put her under Elemental, but she is basically the human embodiment of a crystal. It is very easy for her to communicate with crystals and in past lives she was almost the ‘ambassador’ for them, relaying messages, shifting energies and crystals all around the world. Now, she is in human flesh, but she still has the incredible ability to communicate with them and offer assistance that way – being their voice once more. Now don’t get me wrong – we are all Galactic beings – but that can be overwritten with the other energies if need be – so that you carry that kind of frequency and power with you now. Different energies also have certain behavioral patterns, much like Star signs. Angelic beings have HUGE hearts, they are the most loving and have great compassion for all beings. I do however, find them the most damaged, they have been deeply hurt by humankind and thus need to heal past wounds before they can help heal the rest of the planet. Galactic beings are more cold, they are calculated and have access to great amounts of knowledge and skills. Some Galactics have spent many lifetimes here, and for others, it is their first time here. They are here for a purpose, a very specific one – and thus they are orientated towards achieving that more so than anything else. Elementals are those who have had lives as Elves, Dragons, Fairies, Giants and more. Alternatively, they have lived extremely close to Mother Gaia (like myself), serving Her for many lifetimes. When you carry Elemental energy, your connection with the planet and beings within it intensifies. You have great innocence, mischievousness and playfulness. Your presence is light, carefree and you are always ready for another adventure. By understanding your energy better, you know where to connect to and what energies are most conducive for you. Almost like knowing your blood type, what food is good for me and what isn’t. Likewise, you might be trying desperately to connect to certain Angelic energies but it just does not seem to work, you can never really fully attain the required frequency. That is because you are not meant to, as it is not your realm. Instead, connecting with Earth and the Elementals comes easy to you. We are each unique, we each have our own task, our own mission, our own gifts. Be grateful for them and use them as best you can for the Greater Good! If you would like to know what energy you carry, and a brief overview of which masters you can draw on – send me a picture of yourself and I will do this free of charge. My contact details can be found here. It is one of the most important things you could ever know – as it outlines the rest of your life, allowing you to have more focused energy and directive. The path I walk is bound in solitude, not due to me wishing it so, for the road I tread leads to spaces not yet claimed. Trough forests and deserts, ocean floors and heavenly clouds – I shall walk with love of life and energy unrelinquished. Listen to the echoes of my steps and smell the new born fragrances of this world I show. Step in my steps – see what I have seen, for I need not take your hand – the journey is yours to experience and embrace. Do not stand and wait for a hero, do not wait for a saint. Wings of eternity will carry you forth and release the fear that you have created yourself. Forever is gone and eternity has yet to be realized. Inside every breath is a life, created and destroyed! A pulse, a tremor, you are not alone. Go now young one – flow on this plane and embrace that which is for you to enjoy and sing over. Just never stop walking for the path leads to any and all – creation the key to eternity’s door. The rain shall fall forth and quench my thirst for that what this planet may give me – feed me your knowledge, doused in love of the eternal, energy flooding into every part of my core, making my being divine – malice is only what We think ourselves for chances and grace gives forth the beauty and majesty of serenity. Lose control and live in this – let no rules bog You down for the Master of creation is You – let the gift, the amazing energy flow through every particle of Your sentient being. Love shall break free, again, over every corner of this world and beyond. Light that doesn’t shine but bathes and floods all of existence. Shed the fear, shed no longer tears, the world is at peace – so should You be – human. Letting go might be the hardest thing You will ever do but only through that – only when You truly freely embrace it, shall You gain Mastery. For control can only be gained once You have let go of the mortal restrains that You cling to and breathe in the air of the enchanted world around You that you refuse to acknowledge – beauty fathomless, energy boundless – You are Master there, as are we All. We ask of You, walk with Us, let Us guide You to become the brilliance that You truly are – let the light emanate forth from Your body and set alight the world. In majesty, and magnificence, Your own immense divine being, You are pure – just remember that You are.